The House and Senate released their budget drafts; sadly, there is no support for funding requests for community based brain injury services. Use of best practice guidelines improve patient outcomes and reduce costs, yet many hospitals don’t use them. This project will be conducted by a company called Qmetis and 3-5 Virginia trauma hospitals, and will use training and software to help clinicians adhere to acute care guidelines for the treatment of TBI. The goal of the project is to reduce deaths, improve recovery and reduce long-term care costs to Virginia. 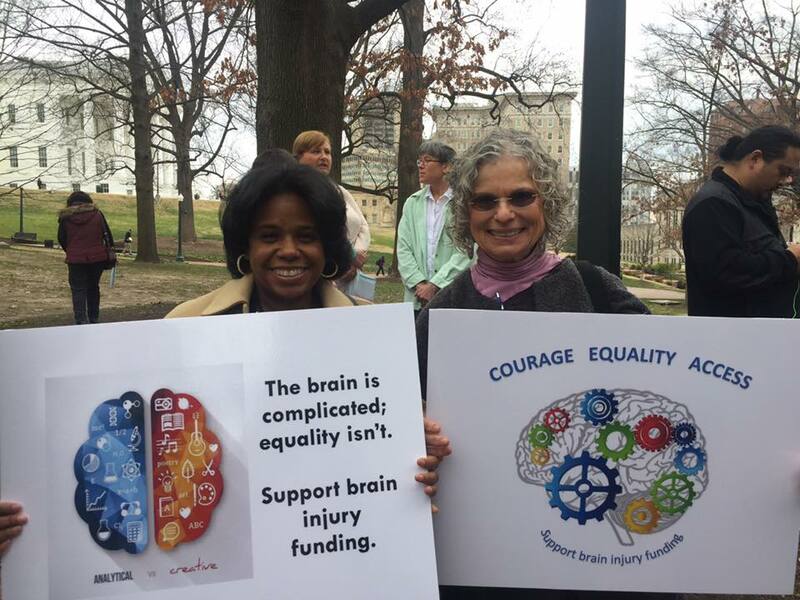 Advocacy helps solve problems, change policies, build a movement and raise awareness; we advocate and collaborate at local, state and federal levels to improve the quality of life for all people affected by brain injury. Please remember that advocacy is a year-round activity. Learn how you can help today! Virginia General Assembly, your portal to the Commonwealth's state legislature. Don't know who your legislators are? Type in your address and you can send them an email from here! We are always available to discuss advocacy issues with you or answer any questions you might have.